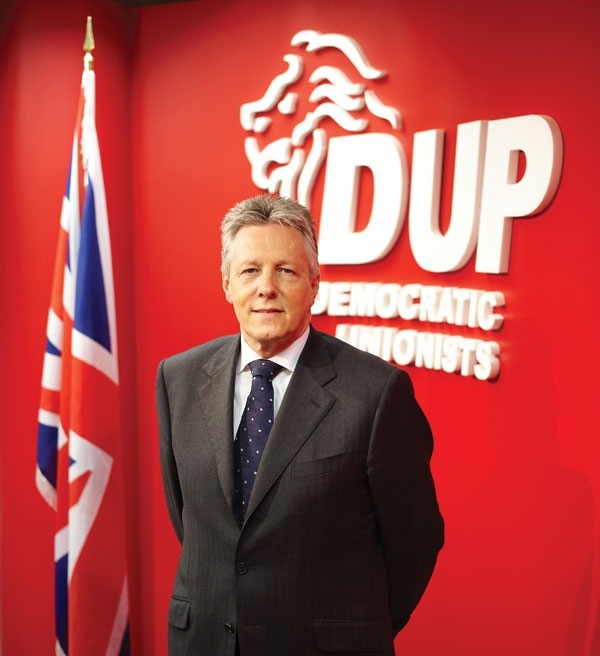 The DUP leader restates the case for devolution and emphasises his party’s independent thinking, as he discusses his role with Owen McQuade and Peter Cheney in the latest in our series of interviews with party leaders. Peter Robinson has often recalled how the death of his friend Harry Beggs brought him into politics but it is clear that that event still resonates with him nearly 38 years on. The group of friends played football as often as they could – “which was considerably more exciting than the classes for all of us” at Annadale Grammar School – but they went their separate ways after school. About a year later, in August 1971, he heard of an IRA bombing at the Northern Ireland Electricity Service headquarters, in which Harry had been killed. Many other young people around Belfast at that time were drawn into vigilante groups, later to become paramilitaries, but he decided that was not the way for change. 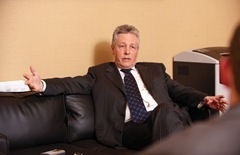 When Robinson was at school, his first pamphlet – ‘The North Answers Back’ – went to press through Ian Paisley’s printing company. He then took his political interest further by going to Paisley’s rallies. For a short time, he worked as an estate agent with Alex Murdoch & Deane but decided to take a salary drop to become the party’s first General Secretary in 1975. From being the outsiders in Northern Ireland politics – a “ginger group on the fringes of unionism” in his words – the party is now very much on the inside as the largest partner in the Executive. The DUP has a different focus now that it is leading in government which does not stir as much passion as during its rise to power. 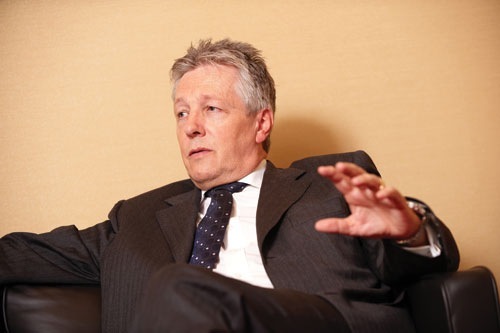 Especially in the light of the European election results, Robinson’s aim has been to spread the ‘gospel’ of devolution and its benefits to Northern Ireland. Those benefits, according to Robinson, can be seen through two points of view – from the perspective of either an ordinary citizen or a unionist. He answers the question of what the key benefits are in both ways. “Strangely, from the point of view of unionism, the greatest benefits of devolution are the things that haven’t happened, and that’s been one of the difficulties for the party. It’s always hard to sell what we have stopped from happening,” he points out. Halting the proposed Irish Language Act is one example of this ability to stop things which unionists would oppose, and this is balanced by the ability to take decisions rather than “sitting on the sidelines”. Under direct rule, it was possible to “complain and groan” when things did not go their way but there was no power to change policy. Looking at devolution from the citizen’s viewpoint, he methodically lists the advantages to householders and businesses which would not have come about if direct rule had continued. 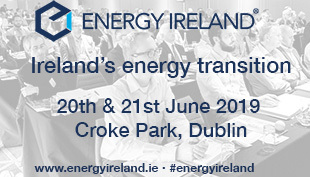 Free travel for senior citizens has been extended, prescription charges are being phased out, the Executive has allowed hardship payments to tackle fuel poverty and the industrial rate has been frozen at 30 per cent. The DUP is deciding on the key issues on which to deliver before the next Assembly election, due in 2011. Collectively, Robinson thinks that the Assembly and Executive has failed to demonstrate to people that devolution is working for them but he also criticises how the press has covered its work. It was put to him that the party was now ‘squeezed’ between the hard-line TUV and moderate UUP and Conservatives. He dismisses any talk of moving along the political spectrum toward one side or the other and states his view that the DUP will stand its ground. Unionism’s future prospects are damaged by its current divisions, he maintained, as he turned his attention to the UUPConservative pact. The Conservatives have “betrayed unionism” twice before, his examples being their treatment of Carson and Craigavon in the 1920s and the signing of the Anglo-Irish Agreement in 1985. In a clear reference to Reg Empey, he claims that any unionist leader who tries to attach Northern Ireland’s future to that party is making a “gross error”. 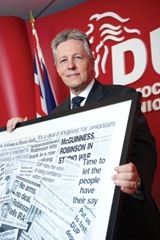 Shortly after the European election, Robinson quoted a blog that said the DUP had been good at governance while Sinn Féin was good at connecting with its base. Expanding on this, he says that the DUP has had a tendency to “do what is right though the stars may fall” and while he approves of this, Robinson recognises that it is also proper that political decisions are clearly explained and the party’s electorate is not taken by surprise. The choice, he repeats, was either devolution or direct rule with an increased role for the Irish Government. In an interview with agendaNi, political reporter Eamonn Mallie commented last summer that the political score between the DUP and Sinn Féin was 5-0 in both the Executive and the Assembly. Robinson wants to continue to be good in government as well as communicating better with supporters. Delivery is what matters most to people on the ground but unless the benefits are communicated to the electorate, a party will not bring its people along with it. Within the machinery of government, the DUP’s objective is to bring about a voluntary coalition government but nationalist parties – both Sinn Féin and the SDLP – are currently opposed to this move. Robinson sees voluntary coalition as the strongest and most democratic form of government but the party took the view that devolution needed to be set up and run before it was ‘normalised’. Propositions for change can now be discussed within the Assembly and Executive Review Committee. He is clear about the practical flaws within the current system. “Quite frankly, I would hope that we would be able to bring nationalists along with us because the present system is better than what we’ve been used to, but I can assure you that it is far from perfect,” he comments. Increasingly, he expects that everyone – whether unionist or nationalist – will want a better method of making decisions which can both carry the community’s support and also be effective and efficient. Double jobbing has dominated coverage about the DUP’s approach to Westminster but Robinson admits that he is “not sure that too many of us wanted to be involved in it at all”. He says that this was a short-term practice to ensure that the Assembly included the most experienced party representatives. Even before the expenses scandal, the party had indicated that it wanted to phase out dual mandates as the Assembly’s future was secure. This was originally meant to take place over this Parliament and the following Parliament but Robinson has speeded the process up by asking his MPs to choose between Stormont or Westminster by the next general election. Party officers want one or two MPs to continue the link between the two institutions in the next Parliament but most will be solely MPs. Robinson criticises David Cameron for protesting against dual mandates when several of his front benchers have jobs outside politics in business and other fields. Cameron’s shadow Cabinet MPs will give up their second jobs by the end of this year but other Tory front benchers will be able to continue the practice into 2010. He will also have his own choices to make. When asked if he saw himself more as a ‘Stormont man’ or a ‘Westminster man’ at the moment, his answer significantly left out one of those places. Robinson’s thirtieth anniversary as East Belfast’s MP has just passed and the constituency’s economy has changed greatly over the years. Low cost competition elsewhere in the world has reduced the scale of heavy manufacturing but successful companies have survived by finding high tech niche markets. Devolution has “immeasurably” benefitted the area, which now has one of the province’s lowest levels of unemployment. In the Titanic Quarter, there is “significant potential” for financial service, business service and IT jobs after the recession alongside a “synergy” with the new Belfast Metropolitan College campus nearby. He is proud to highlight Bombardier’s £500 million CSeries jet order and Thales’ £200 million missile contract with the Ministry of Defence. Community-based regeneration is also expanding in Tullycarnet and on the Lower Newtownards Road. Poor housing was a major problem when he was first elected, taking up 90 per cent of constituency cases, but this now accounts for around 10 per cent of the workload. He puts this change down to either the Housing Executive getting better at its job or the sale of social housing freeing up more time and resources for looking after the remaining properties.